This power bank not only is able to charge your phone but can be used as a phone stand when applied to the back with the suction cups. This light up imprint will stand out day or night! 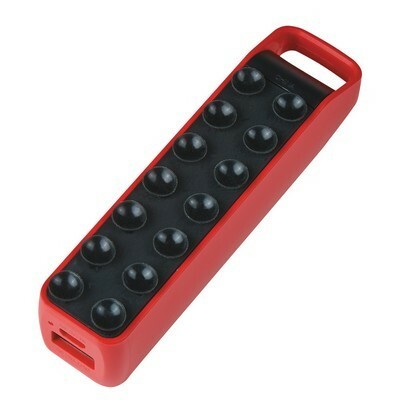 The Stay Fast Power Bank with Suction Cups is your everyday multipurpose charger! The suctions cups stick to your mobile device making it easy to transport your phone while plugged in or works as a perfect stand! 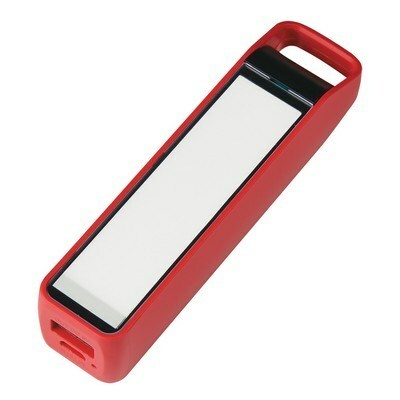 This power bank is UL listed and is compatible with almost all phones, MP3 players and devices and charges them all right on the go. 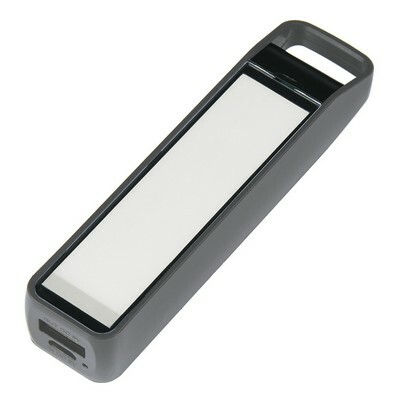 This compact power bank features a micro USB input and dual USB output at the base for charging two devices simultaneously. You just need to connect your device’s cord into the port to start charging the device. The power bank works on 2200 mAh Lithium Ion Grade A Non-Recycled Battery. It is available in color options to select the best one that suits your corporate logo. 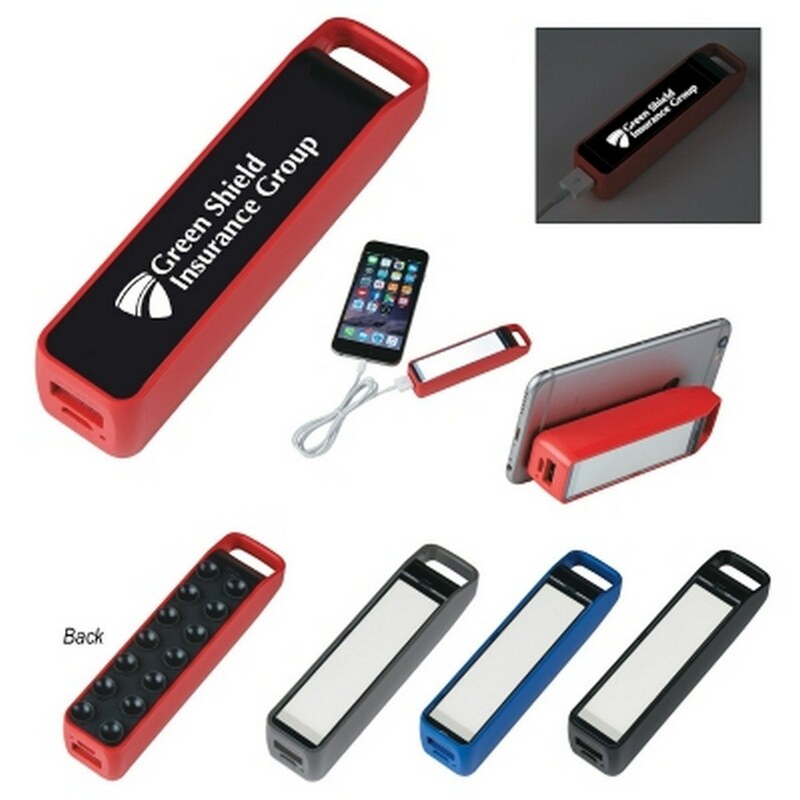 Insert your brand name and marketing message to create brand awareness far and wide with this promotional giveaway!